Tulsa seeks first division title since 1976 and clinches home-ice advantage for team’s first round playoff series. >> The Tulsa Oilers returned to Wichita for the final time this season and suffered their first loss against the Thunder in six meetings at INTRUST Bank Arena. The Thunder scored twice late in the first period and added a power play goal midway through the third frame. Scott Henegar spoiled Stuart Skinner’s shutout bid with 1:54 left in the game to put Tulsa on the board, but Wichita snapped the Oilers’ four-game winning streak 3-1. It was Devin Williams’ first loss since Jan. 5, snapping his seven-game winning streak. >> The ECHL’s biggest crowd of the season, 13,517 people, welcomed the Oilers home from a four-week stretch away from the BOK Center on Tulsa’s fourth-annual Alzheimer’s Awareness Night Saturday. Roman Ammirato put the Oilers on the board in the final minute of the opening frame, but Utah tied the score 1:03 into the middle stanza. After a scoreless third period and overtime, the game went to a shootout. Adam Phillips and Dylan Bredo scored in the first two rounds against Utah’s Joe Cannata, who stopped 47 of 48 prior shots, and Devin Williams stopped the Grizzlies shooters in the first and third rounds to seal Tulsa’s first shootout win in 840 days, a stretch of 13 straight shootout losses dating back to December 10, 2016. 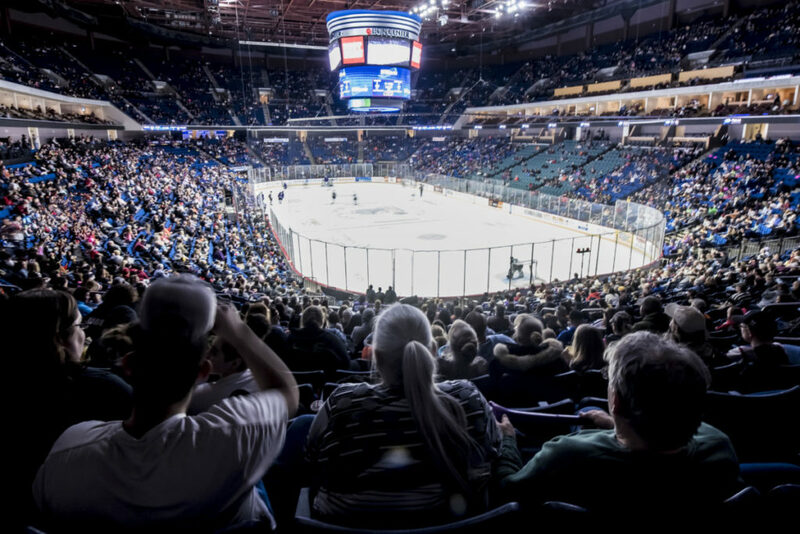 >> With an opportunity to clinch home ice in the first round of the Kelly Cup Playoffs, the short-handed Tulsa Oilers convincingly defeated the Utah Grizzlies 6-0 Sunday to move into first place in the Mountain Division standing entering the final week of the season. Chris Forney scored a power play goal 2:46 into the game and Mike McKee added a goal 1:03 later to give the Oilers an early 2-0 lead. Roman Ammirato scored another power play goal in the second period to make it 3-0 before the end of the second period. Adam Pleskach scored one minute into the third and Adam Phillips expanded the lead to 5-0 at 5:51 of the frame, before McKee scored his second of the game 13 seconds later. Ian Keserich posted a 22-save shutout to help Tulsa take the season series with the Grizzlies four games to three. 3/29 – Tanner Karty signed to standard player contract. 3/28 – Alex Dostie reassigned by Anaheim (NHL) to San Diego (AHL). 3/28 – Jared Thomas recalled by San Diego (AHL). 3/26 – Charlie Sampair recalled by San Antonio (AHL). 3/25 – Ryan Tesink loaned to San Antonio (AHL). 3/25 – Stephen Perfetto recalled by San Antonio (AHL). Dylan Bredo has 7 assists during a 4-game point streak. Devin Williams has won 8 of his last 9 decisions since Jan. 6. Mike McKee recorded his first career 2-goal game Sunday vs. Utah. The first-place Oilers’ magic number to clinch their division for the first time since 1976 is 5 points. Tulsa reached 40 wins Sunday for the first time since 1982. The Oilers have won 10 of their last 12 games and have won a season-high 5 straight games at home. Adam Pleskach is 1st in the ECHL with 36 goals, 3rd with 69 points and tied for 1st with 13 power play goals… Devin Williams is 2nd in the ECHL in goals-against average (2.20)… Dylan Bredo is tied for 1st among league defensemen in assists (38) and tied for 5th in points (43)… Steven Kaunisto is 2nd among defensemen with 4 game-winning goals. Saturday Night will feature a combination of hockey and the yellow pages with the Tulsa Oilers’ second-annual European Jersey Night, honoring the look of many hockey teams overseas. The Oilers will wear special jerseys featuring the logos of many of the team’s fine sponsors, which will be auctioned off following the 7:05pm game against the Kalamazoo Wings in the newly-renovated OneOK Lounge at the BOK Center. The Tulsa Oilers will be presenting annual team awards to the players prior to Sunday’s game against the Wichita Thunder at 4:05pm at the BOK Center. Among the awards with by Team MVP, Offensive and Defensive Player of the Year, Rookie of the Year, Most Improved, “Vic Poole Never Give Up” Award, Ironman Awards, and Fan Favorite. The Oilers wrap up the regular season and pump up the excitement for the team’s first playoff appearance since 2014-15 with Fan Appreciation Night at 4:05pm Sunday as Tulsa hosts the Wichita Thunder. Stay after the game for a postgame skate with the players on the York Plumbing Ice at the BOK Center.